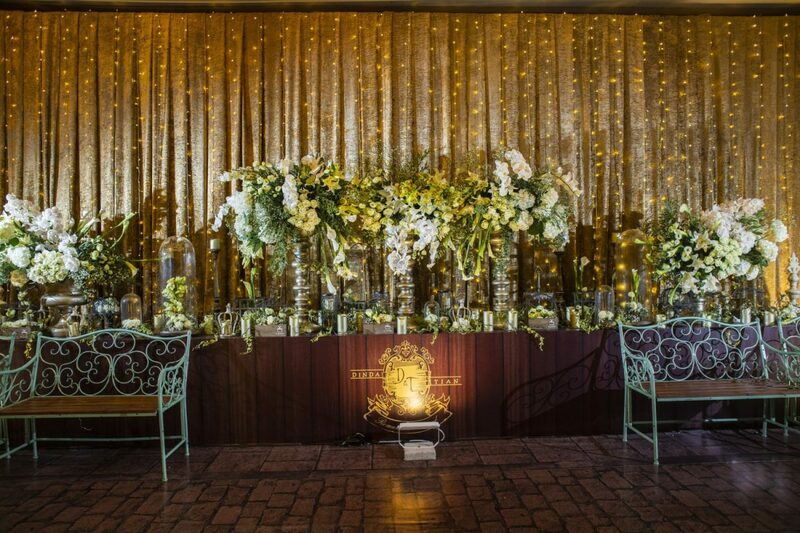 A wedding is often the most important day in a person’s life and the same can definitely be said for Adinda Purnomosidi who tied the knot with her now-husband Septian Chandrika in what can be described a truly magical wedding. 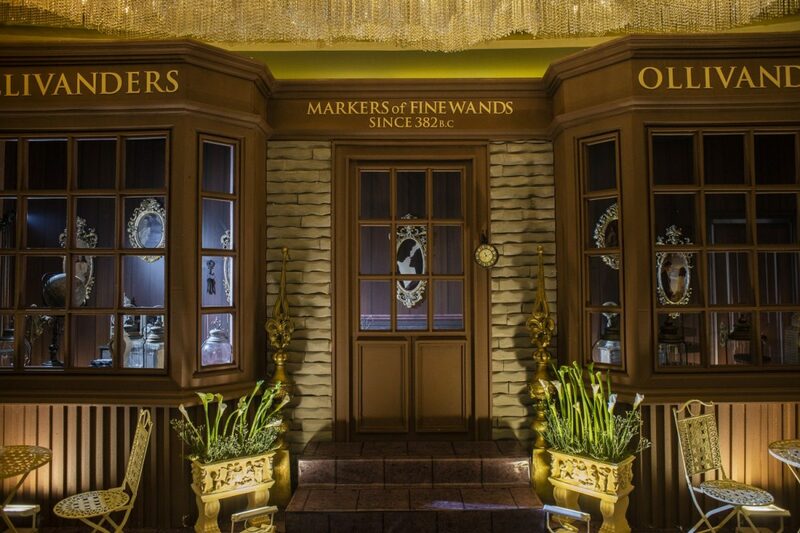 After all, how can one expect a Harry Potter-inspired wedding to be anything less? 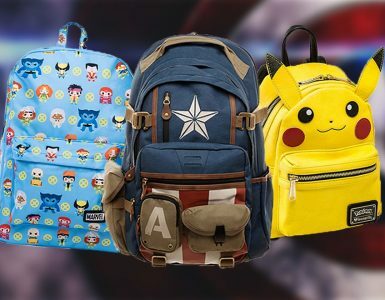 Adinda, a self-professed geek, is not just Harry Potter fan but also a fan of the Fast & Furious franchise, Sailor Moon, and Disney amongst many others. 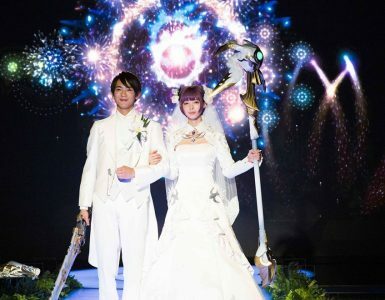 She explained in an interview with Geek Culture that she has always wanted her wedding to represent her as an individual, so that, of course, includes her ‘fangirl’-ly side as well as her more cultural Indonesian side. 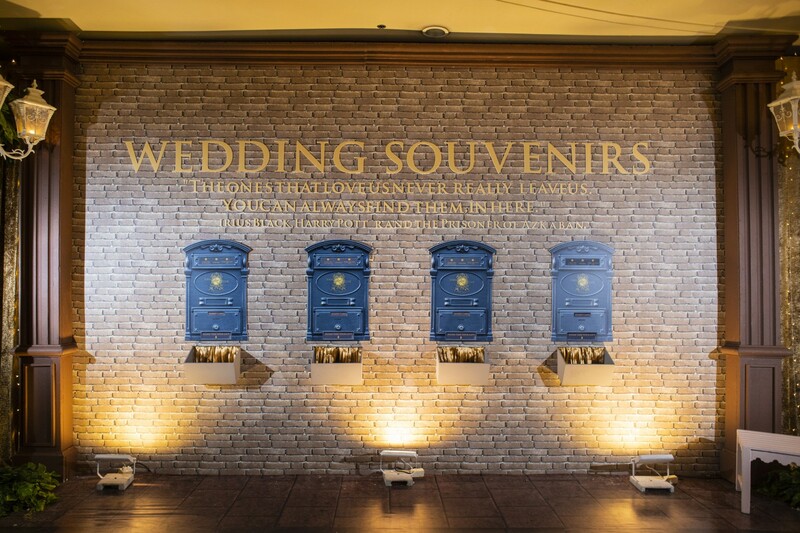 When asked why she decided to have her wedding be Harry Potter theme instead of anything else, Adinda said that it was mainly due to how easy it was to organise a wedding with such a theme, from the wedding invites to the decor. 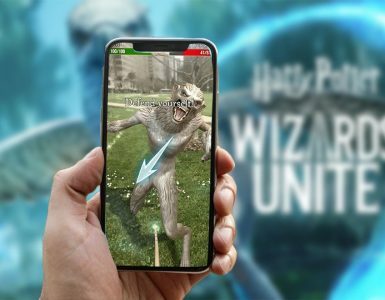 “Plus, there are already some Disney princess-themed weddings in Indonesia that I just felt it wouldn’t be as unique as [Harry Potter]. 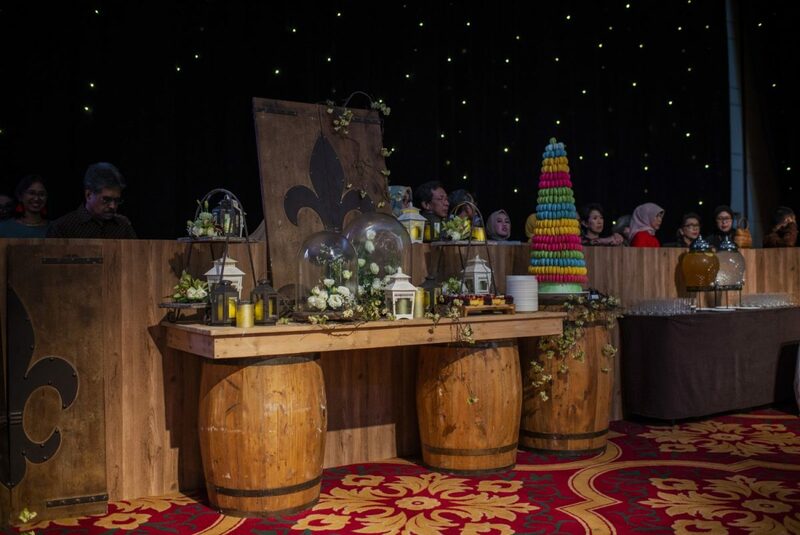 I want the guests to have a fun experience in my wedding,” Adinda adds. 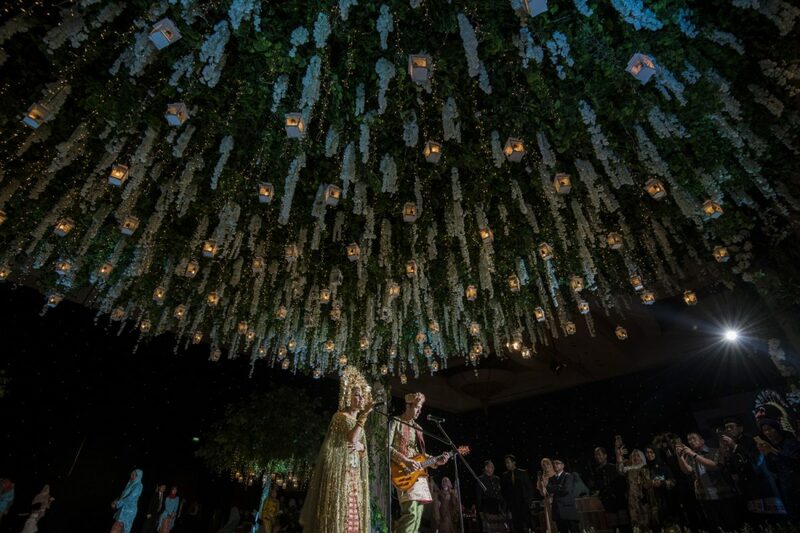 The wedding, which was held at The Ritz-Carlton Pacific Place in Jakarta, Indonesia had approximately 1,200 guests to celebrate the joyous occasion with Adinda and her husband. 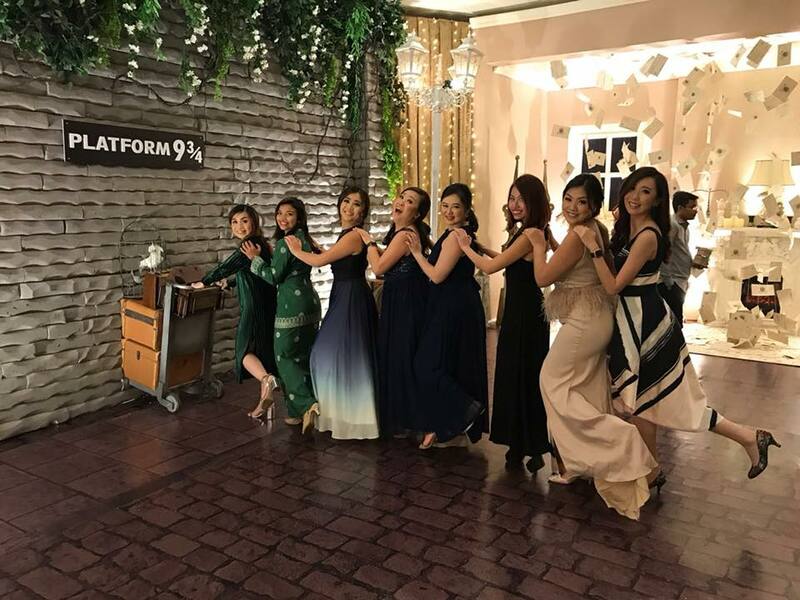 Luckily for Adinda, the vendor she found, to help her bring her Harry Potter wedding dreams to life, Lotus Decoration, is also a Potterhead, which made brainstorming and planning much easier. 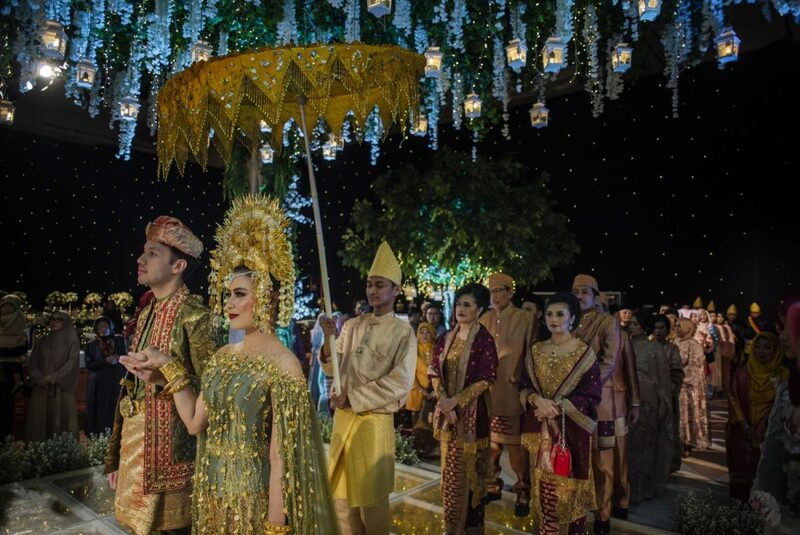 Though unlike what you would think a typical Harry Potter wedding will be like, Adinda’s wedding also incorporated elements of her native Indonesian culture. This is especially evident in the formal wedding ceremony where she has to wear her traditional Indonesian crown and accessories. But, Adinda added, she made sure to weave elements of Harry Potter and her house (It’s Slytherin in case you were wondering) into the decor wherever she could. The logo for her wedding has the inscriptions “Romance Managed” which is reminiscent of the Marauder’s Map in Harry Potter which can turn from being an informative map to a blank piece of paper when one says to it “Mischief managed”. Even the food and drinks at the wedding got the Harry Potter-treatment. Butterbeer, a famous drink from the movie series, was also served during the wedding. Adinda had the hotel make the drink, and to add to the ‘theme park-esque’ experience for her guests, Adinda even had the Butterbeer glasses custom made. She even took note of the littlest details, such as the hashtag for her wedding which was #DindaTianUnbreakableVow, which is definitely a lot more romantic than the instances we’ve seen the characters in the movie make an Unbreakable Vow. 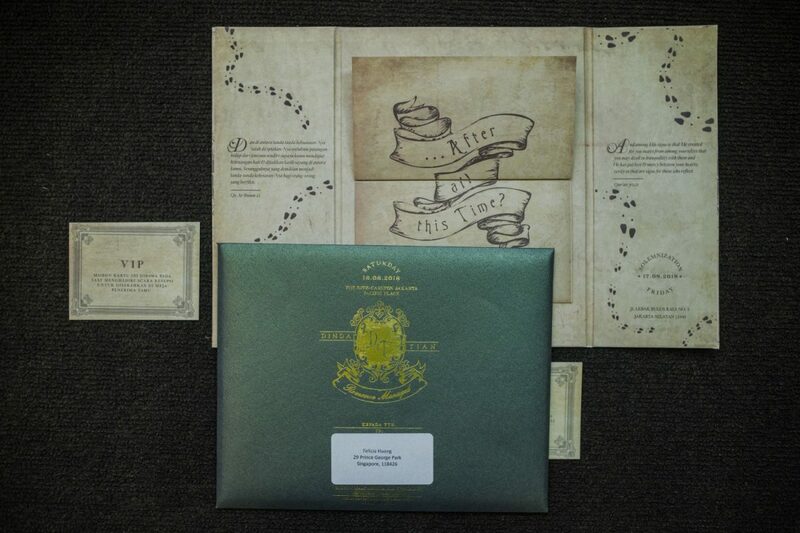 Her wedding invitation card, crafted in Slytherin green, featured the famous quote by Albus Dumbledore to Severus Snape, “After all this time?” written in the middle of the card. 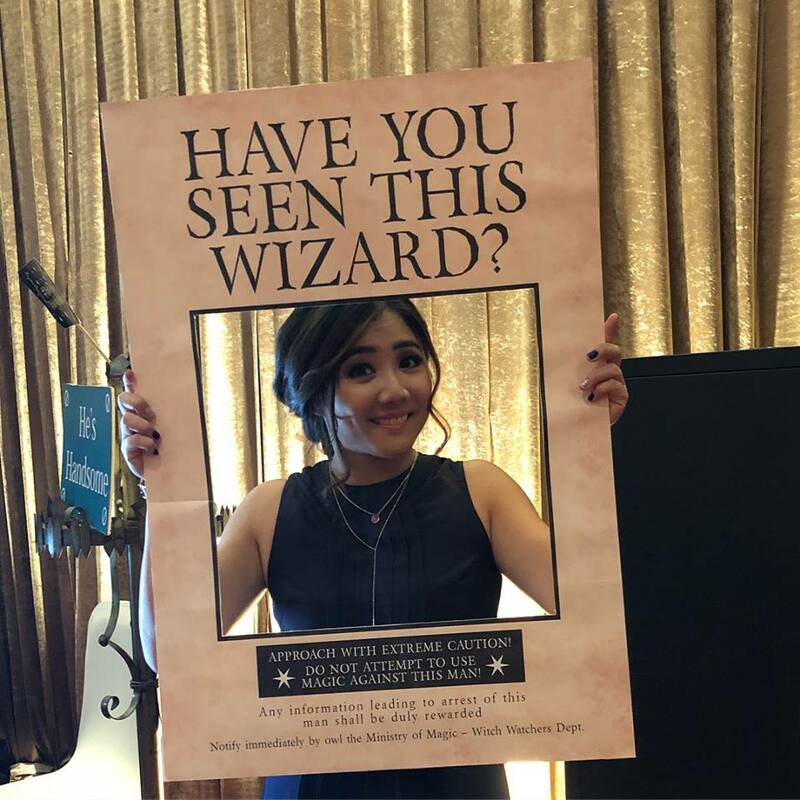 We can only hope Adinda gave a reply to the question at her wedding, with Snape’s succinct reply of “Always.” We can see that the Chandrikas’ love for each other will be as enduring as Snape’s adoration for Lily Potter. 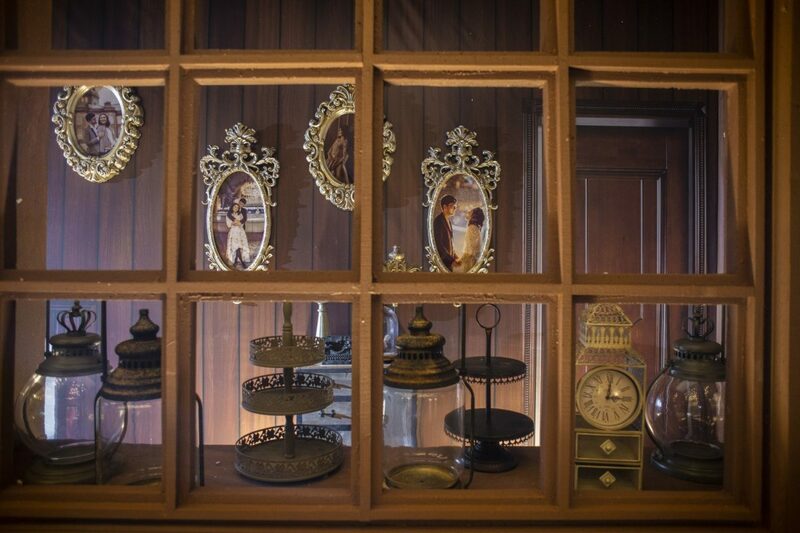 “It’s more subtle, nothing too jarring for guests who are non-fans that expects traditional Indonesian wedding events, but it will be like mini delights for the fans who noticed all the hidden clues. I guess me and my parents compromised halfway,” Adinda says. 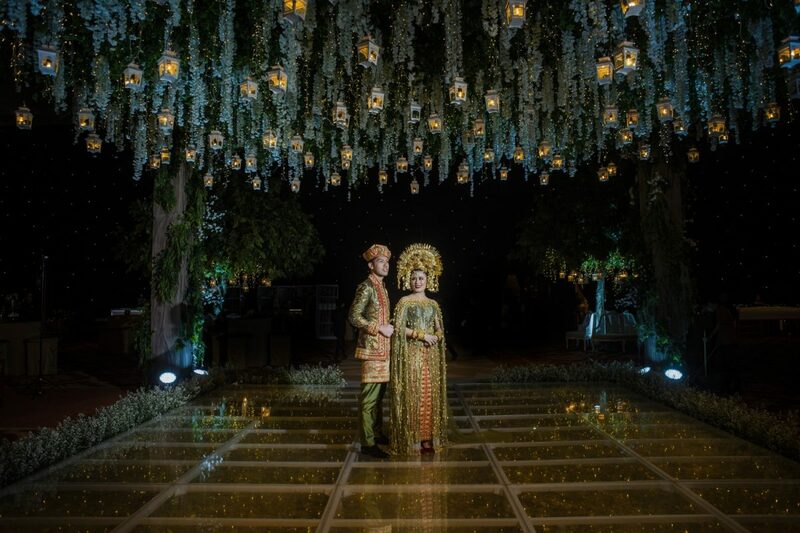 With the level of attention that went into the wedding, it must have been a truly extraordinary experience for everyone who attended, and Geek Culture wishes Adinda and Septian Chandrika a magical happily ever after. Who wouldn't want to say "I do." in front of a giant Moogle?